Returning to this canvas, started back in January. I’m still struggling to find a solution but it now rests in this state. 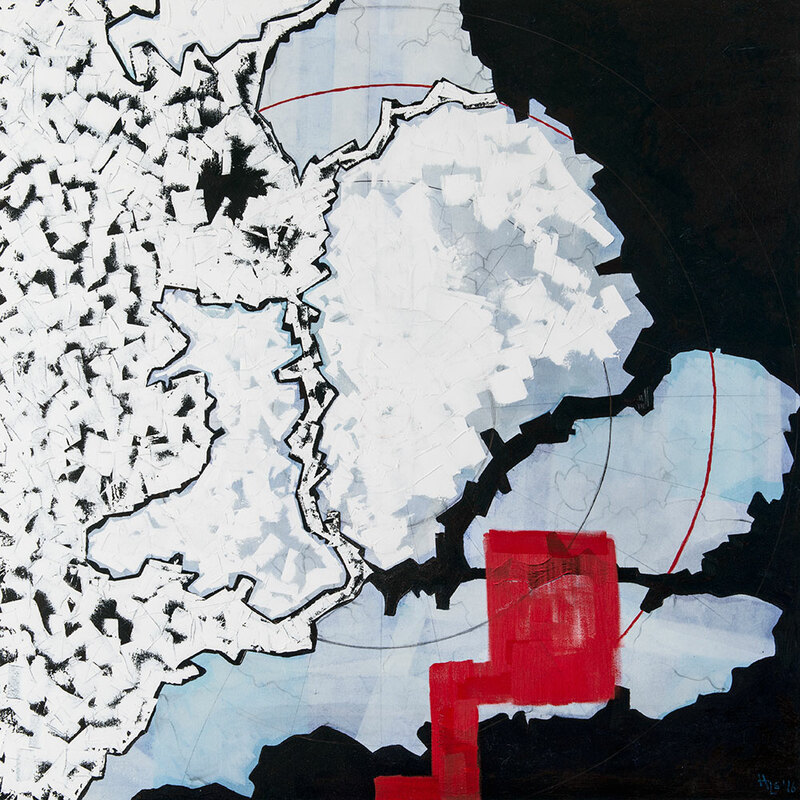 My inspiration comes from the idea of sea ice seen from above and the overlaying of maps. Thinking about shipping routes, ocean currents, British plastic making its way to the Arctic, the UK deep freeze in 2010, how will climate change affect the UK in years to come?